Last session ended with the PCs getting repulsed from the Temple of Howling Hatred, and Vargulf and Six left trapped inside. Six was captured at the beginning of last session, and the party was storming the temple to rescue him. As the PCs were battling at the entrance, Six was being interrogated by cult priests. However, Six was not giving up any information, and was actually drawing bits of intel from his captors. Tied to a chair, Six could not see a new tormenter enter the room, but the enemy smelled like licorice. A dry voice whispers in the wizard’s ear, telling him his friends have been defeated and one of them has been left trapped in the temple, soon to be caught and killed. Six is all alone, with no hope of escape. Suddenly Six snaps. An older, more powerful personality takes over and Six blasts his captors and escapes his bonds. He flees the room and rampages through the temple’s dark corridors until he finds Vargulf hiding amongst a pile of bodies. The pair do not know the way out. Six, still possessed by one called Oroko, uses magic to locate the weapon of Malcor, which points the wizard and druid to the exit. After a frantic running battle, the pair escape and find their beaten friends resting a few miles back along the underground path. The Hobos rest up and then prepare to attack the air cult’s temple again. This time they have a plan and it works. They breach the inner sanctum and fight many cultists and a vrock demon. As Kriv delivers the killing blow to the vrock, the creature points a claw at Six and screeches, “You are just a copy!” The party now wonders if Six is just a clone too. The party penetrates Howling Hatred deeper until they come upon a large stone pyramid beside a waterfall. It must have been majestic when the ancient dwarves built it. But now the place is tinged with evil and decay. A trio of wyvern riders atop the pyramid make sport of the party. One flies down and strafes the Hobos. Feeling weakened from their numerous fights, the group decides to flee again and hole up in a room near the entrance. The wyvern riders laugh and taunt the retreating Hobos. The party’s rest is interrupted by a polite pounding on their door. The group has blocked the entrance with a pile of cult member bodies. But then a mist pours through the cracks and a djinni materializes before them. He says he is a representative of the Howling Cult leader, Aerisi Kalinoth. She wishes things to end in peace. But if the Hobos persist in sacking the temple, they will be counter-attacked with forces beyond their imagining. The party accepts the olive branch and are escorted out the temple by the Djinni, who bows and wishes them safe journeys. The PCs return to their resting spot along the chasm path and discuss their next move. The PCs decide to return to the surface and leave the air temple alone for now. On their way they encounter cultists pushing eight slaves along the path. The Hobos quickly dispatch the cultists, but then, with their typical strange and intimidating ways, the PCs scare the slaves who flee back to the surface. The characters shrug their shoulders and continue on, following the freed slaves ever-upwards towards daylight. Upon reaching the surface, the party steps into a hellish scene. The air is dry and hot. The clouds above roil and spit fire. Small balls of flame rain upon the Hobos as they begin their journey to the nearest town, Westbridge. Soon they come upon the ex-slaves. One member is dying from severe burns suffered from the bizarre weather. The Hobos throw magic berries at the people, and the dying person is healed a little and stabilized. Yet again, the parley is awkward and the peasants are relieved when the Hobos decide to meander on. After a day travelling in the painful weather and suffering numerous minor wounds from the rain of flames, the party makes camp. The clouds disperse. It’s a beautiful night. Just as the party begins to snore, a massive ball of flame erupts in the distance. Malcor wakes everyone and the group runs to the scene. The Hobos crest a ridge and come upon earth cultists attacking a small creature. Beside the small creature is a large zombie beholder lying on its side, big undead tongue lifelessly lolling out. Oh no, it’s Gar! The PCs advance. Suddenly, an evil wizards steps from behind a tree and blasts Gar with a flaming orb of fire. Gar goes down. The wizard is Six! Rather, it’s another of Six’s clones. A long fight ensues. Bulette-riders, plate-wearing earth cultists, and the wizard clone put up a tough fight. The enemy wizard snatches up Gar’s artefact daemon sword, Bloodweep, and flees to a nearby henge. He takes a small body out of a sack and smashes it against a henge stone, then begins chanting a foul ritual. Malcor shoots the wizard down and stops the ritual. Kriv fights off several cultists and a bulette. Vargulf summons a pack of wolves, then turns into a wolf himself and leads the pack into battle. Six launches a deadly lightning bolt. Soon almost all cultists are dead. The bulette riders flee underground on their mounts, but not before one of them snatches up Bloodweep and carries it away. Gar is healed but disheartened to learn his weapon is gone. Then Gar tells a quick story of how he was tricked into an ambush by the cultists. Though powerful against demonic foes, the goblin paladin was out-matched against his human enemies. He says without the sword he cannot fulfill the prophecy and kill the most powerful demon in the land. The Hobos vow to get Gar his sword back. Vargulf’s wolves follow the scent of the bulettes, who were headed east. After awhile the scent is lost, but the party is certain the cultists were headed to their lair, a place called the Sacred Stone Monastery. We end the session there. It was a fun session. Lots happening in a variety of locations. There was a pyramid, some close quarters fighting, and encounters in the wilderness. We got some more roleplaying in this time, with the slaves, the djinni, and Gar. And the plot advanced a bit, with the possibility Six is a clone himself, new information gleaned about the elemental cultists who seem to be taking over the area, and discovery the air cultists might be in league with demons. We plan to play again in two weeks. Hopefully you can get some gaming done this week as well! After awhile you don’t want to get ready for and run games anymore. You get writer’s block. You dread game day and find any reason to postpone. You feel uncreative and stressed out before each looming game day deadline. It’s a tough spot to be in. And I’ve been there. Maybe you have, too. Maybe you’re there right now. If so, this week’s tips are for you. They are a refresh of RPT#379 Playing With Fire: Dodging GM Burnout by Mike Bourke and RPT Supplemental #09 Remedies For GM Burn-Out. Put advice from this mixed tape of tips that resonates with you into effect to get your GMing mojo back. Most burnout occurs when preparing a scenario, and it starts to be too much like work and not enough like fun. It’s my contention that, if generating the scenario itself is enough fun, momentum will carry you through most problems. It’s when a GM hits writer’s block head-on things begin to drag. Most of these techniques are aimed at getting a GM past that hump, getting them into a state of mind in which their imagination is going at a million miles an hour, just as it was at the start of the campaign. Instead of deciding what has to happen next, what you haven’t done yet, or whatever is appropriate for your style of campaign, pretend you’re a player. Ask yourself what you as a player would have the most fun doing – no matter how ridiculous it might be in the context of the campaign. Then shoehorn this into the campaign. If it won’t fit into what’s already going on, get the players to generate new characters and start running a second adventure thread simultaneously with the first. Create a connection between the two threads that you will state as existing but that you can actually figure out later. This gets players looking for the connection, enlisting them as unwitting collaborators. Sometimes it’s not enough to stroll through the looking glass. Sometimes you need a different style of game, turning the entire gaming experience on its head. “A change is as good as a holiday,” as the popular saying goes. If your regular D&D campaign isn’t working, maybe a short bout of Paranoia will be more to your liking. Or perhaps Risk, Top Secret, Seventh Sea, FATE, or…well, you get the idea. You don’t have to abandon your existing campaign, not even for a session. Use the desired campaign setting as inspiration, and set the events in a different era of the campaign. To avoid having to give clues as to what you have planned for the future of the main campaign, the remote past is preferable. Once again, this requires fresh PCs and a parallel gaming line, but it permits the GM to let the PCs invent, and invest in, some of the undiscovered campaign background. I call this Inverted Gaming because background usually precedes campaign, but this inverts that relationship. Why not invite a special guest to sit in the referee’s chair for a scenario, with permission to get inventive? They could perhaps take the same PCs and interpret them in a new rules system or campaign setting. Nothing scares old-time players quite as much as a new referee pulling out character sheets and the Call Of Cthulhu rulebook immediately after they set foot in the inn or gothic castle…. This is even more head-spinning if it’s a total surprise. Of course, you sit in to act as intermediary between the campaign and the temporary GM, to take notes about how to interpret consequences when the regularly-scheduled campaign system/setting resumes, and to roleplay any established NPCs. A variation on this idea is to get each player to draft a scenario for the campaign. You then take their submissions and rework them to fit. If you’re frustrated trying to come up with something new, a good card to have up your sleeve is the concept of a Ripple Scenario. Think back over the campaign events to date, and pick the scenario you remember was the most fun for everyone – including, especially, yourself. Look at the key decisions and judgments – by both PCs and NPCs – that were made in the course of the scenario. For each, ask yourself what if (for some reason) that decision was wrong? Perhaps the friendly innkeeper who helped the scenario get back on track had an ulterior motive, or maybe the apparently evil cleric was actually a good guy pursuing what he saw as the lesser of two evils? Having the current situation – whatever it is – get unexpectedly complicated by past events can have a wonderfully unifying effect on apparent campaign cohesiveness. Plus, the sequel to the most fun scenario you’ve had can only help you recapture that sense of fun about the campaign in general. Besides, anytime the GM can get the players second guessing themselves and their decisions, past as well as present, is a good day for the GM. Pick up a novel not too removed from the campaign genre, open it to a random page, and select a single sentence. Build a scenario around some in-campaign interpretation context of the sentence, changing the names as necessary. For example, for a fantasy campaign, let’s pull out The Fellowship Of The Ring and extract, at random, the sentence, “But, as they drew near to the further gate, Frodo saw a dark ill-kept house behind a thick hedge: the last house in the village.” So, we have a village, with two gates – or are they Gates? – with a thick hedge, a sinister house, and a traveller passing through. How about a traveller who was passing through a village linking one plane of existence to somewhere else by two Gates, and who never arrived at his destination? A grieving widow begs the PCs for help finding her missing husband, or maybe the traveller is trapped in amber. Speculation, fanciful interpretation, and a deliberately corrupted context can produce a wealth of ideas from that one sentence. Hang up the GM screen for a while. Put the campaign on hold and settle back to be a player. If there are no other GMs available, hold a video night instead of roleplaying, play a board game, take everyone down to a tavern, or organize an expedition to the cinema. Your players won’t mind the occasional missed session if it enables the campaign to continue in the longer term. Giving as much advance notice as possible is the key to making this work. This solution is especially good if the GM is feeling under-appreciated, which does happen from time to time: one too many criticisms, bellyaches, or even “helpful suggestions” can sour you on GMing for a while. If that happens, have each player GM a one session game (no matter how badly) while you recharge your batteries, and hopefully when the campaign resumes, your players will be appreciative. The risk is your players might prefer one of these other GMs – but that would happen if you burned out anyway. You could play any board game or alternate game for a break, but why not play a game you can use as direct inspiration and content builder for your current campaign? Play Risk, but each player has to draw and name his own territories. Each player should have his own religion too. Record everything. Turn the conflicts into wars. Make some of the infantry pieces into heroes. Keep playing until you have all the history you need. New players bring in a different style and feeling with their characters, adding new interests for both GM and the other players. If you can handle another player at your table, try recruiting one. Ask a friend curious about RPGs to play for three sessions. That gives them a feel for the game, does not commit you to a long-term added player, and can shake things up nicely at the table. You can run mini-plots or have the player actually be a spy, or run experimental classes or plot devices this way. Play different characters once in awhile. Turn those henchmen into PCs. Create an adventuring group the main PCs are training. Or try out the newest splat book your players are drooling over. Experiment with character types, house rules, and party types. Maybe it’s finally time to game that all-wizards party you’ve been thinking of. Whether you tie the new PCs to the old ones or not, everyone will enjoy the break and get inspired with the new look at the game. There is usually little objection to the GM running a well thought out NPC, especially if it fills a hole in the party composition. Just make sure he doesn’t try to solve all the party problems. Player characters can also change to NPCs when the player leaves the group. 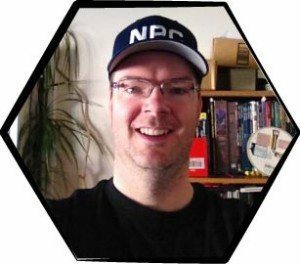 The GM has a ready-made NPC complete with background, personality, and a connection to the party. Retired characters can also turn into semi-NPCs, still run by the player but showing up just occasionally. When a dry spell hits, ask the players what direction they would like the campaign to go. Their ideas may jump-start a whole new chapter. There is nothing wrong with taking a hiatus in playing. Our longest break was nearly a year as various personal things got in the way. If you keep in touch with the players, you can pick up again as soon as things improve. Our group’s GM has been a real trooper. Week after week he’s had good story and development, he’s plotted out at least three ways for our party to go, and he’s always up on the rules he’ll need to bring into play. But in the face of a full-time day job, a fiancee, and other things out there in the real world, the prospect of keeping up with everything was getting to be tough on him. Our solution was to have two games with separate GMs going within the same group. When one game reached a narratively appropriate point to stop for a while (generally after three or four sessions), the GM would step down and become a player in the other game, while one of the players would turn into the GM of his own game for a while. Two separate story lines, two GMs doing their own thing, two totally different parties. It’s been working great. Each GM gets to play on the other side of the screen for a while – our “first” one hasn’t been a player for years, and I think it’s really reinvigorated him. Also, he gets a couple of weeks to cool down, go over his story line, and spend time cooking up our next adventure without having to worry about time constraints. When his game starts up again, he always presents a polished, well-constructed scenario for us. Perhaps one of the contributing factors to GM Burnout is the constant sense of flying by the seat of one’s pants – having a couple weeks break seems to get around this problem. It works well preventing player burnout too: everyone gets to shift party roles every few weeks, as nobody plays the same type of character in both games. We’re an experimental bunch of players, so we get to explore lots of different ways to play characters. The reason we started doing this, by the way, was to work our way into using the 3rd edition D20 rules. Our game had been 2nd Edition AD&D, and when D20 came out, we didn’t want to have to switch our beloved characters out without knowing exactly what we were doing, so a separate D20 game was started. Now both games are D20, and the benefit is that if the actual GM doesn’t know a particular rule off-hand, chances are the playing GM will. Our games have therefore been very balanced, and we haven’t had a confrontation over rules interpretation yet. If you’re burned out on the original theme then start again, but within the same setting and campaign. If you’re playing Vikings, for example, then rather than trying to emulate Nordic sagas, switch themes totally. Invade the homelands with pseudo-Normans and switch to a Robin Hood outlaw game. Turn on the Cthulhu and start to reveal conspiracies between sorcerers, priests and unholy sacrifices to unknowable gods, or even suggest that Odin himself is an avatar of something more unknowable. Basically re-invent the campaign as another game but layered upon the previous one. This actually creates a deeper and multi-layered game. Recharge by absorbing new ideas from other sources. Watch new films, read new books. Maybe reading noir detective books can be layered into the game as a series of dark ages murder investigations. Maybe your dark vampire game could cope with a touch of super hero inspired heroism? Keep feeding new and wildly divergent ideas into your existing maps and cities. SF games can absorb space dwelling dragons, fantasy can cope with swashbucklers or espionage. Yes indeed I did suffer from burn-out with my games. I had been playing pretty constantly, every week, with 4 friends. I GMed and I was having a good time for most of those 13-14 years. I had played in a few games but mostly I GMed. Well we had started a new game, sort of a traditional game meets Arab/desert world idea. People made characters and we were playing but things just didn’t fit, didn’t work. I was just not happy with the game. So I left fantasy. I played some dark games, Vampire, and Werewolf, and though they were fun, it just wasn’t the same grand types of games I had run before. I tried Trinity/Aeon, which was a romp but really nothing great for me. I kept feeling I lacked, or rather, my games lacked a certain umph. Now, I guess to my credit, players continued wanting to run games with me as GM. Which I did, but my heart and soul really weren’t always in it and I could see it even if they didn’t. What changed for me was coming up with a new idea, something I had hashed out in bits with friends over the years. Well about two years later I had worked on it and I really liked it! It had a great long term goal, mysteries, and secrets the party would have to discover, potential for a lot of growth and interesting (to me) villains and heroes. The newest edition of D&D was just coming out and I felt this was a great way to try out an old favorite whom I hadn’t played in nearly 10 years. It has turned out to be great. For me I needed the background story. Sure there may be parts the players never learn about, but they don’t need to. I do. It helps me make my decisions, and where villains do what they do and what countries are at conflict and why. One of the greatest lessons I learned about GM burn-out came at a time when I was playing instead of running the game. When I got started in the hobby, I was the first one to own the books, and for most of my early gaming career, I was always the one running the games. The few exceptions didn’t really give me a chance for character development or progression. So I groomed a replacement and switched sides of the screen for a while. What I learned is that at first it’s kind of like a parent riding beside a young driver who’s learning the skills needed to make it without you. It can be frustrating and fun, but eventually you get past that and can relax. In gaming, the feeling of ‘having to be the GM’ can overshadow your whole experience. Once I got to play I started thinking about what it was that I wanted from the game as a player. This was a fundamental shift in my thinking that changed the way I run games as a GM. By listening to the things I responded most to, and those things that really excited other players, I got a much better sense of how to put adventures and campaigns together that will suffer less burn-out and create memories that people will talk about years hence. Just my two coppers’ worth. It’s happened to me about 3 times. The first time was when I started college, I got a real social life and was working in a part time job. Most of my friends were starting to date girls and there seemed to be more important things to do than game. I returned to gaming some 5 years (I was in my mid 20’s) later when an old friend was cleaning out some junk at his parents’ house to move into a small unit. He discovered a box of gaming stuff. Three weeks later we had a few games and it set the course for 3 strong years of gaming. AD&D 2nd Edition had just come out and we were really hooked on Planescape. Computer games and getting married put an end to our weekend sessions and it wasn’t until I heard about the latest edition of D&D that I came back to gaming. This can be stopped and solved by having well-fleshed characters with plenty of personality traits, backgrounds, convictions, contacts, and family links. Throw stacks of NPCs at your characters and let them do the work. Your idea should be brief and simple to attach them to a part of the story line. Players are the lifeblood and we all know that factory of adventure ideas takes a dive at some time. The best thing to do is to find out what your players are hungry for, then feed them. Bill likes a dungeon crawl, Jenny likes a murder mystery, Bob likes long ships and keeps, and lastly Anna likes dragons and romance. So work with that. Keeping a campaign fun is hard work and takes a good deal of work and time. Make sure you know that before starting. If your personal life is really full with work, studies, children, and hobbies, then it might not be a good for you to run a big campaign. Stick to small short quests. Don’t start something you can’t finish. Treat them like a proper character, with their own history, backgrounds, flaws, perks, convictions and all the rest. They must have goals and reasons for doing what they are doing, while keeping it simple. Joan is working on a villain. She is using a Viking campaign setting template and so selects a Frost Giant Chief as one of her three bad guys. She then lists things about him. Strong, Bossy, Mean, Tough, Fit, Swordsman. Killed many, bad childhood, no family, no partner, trusts nobody. Visualize to heighten areas (Caverns & Dungeons). Room descriptions can be a really big problem. It’s a lot of work to write up a 30 room level and by the 10th room it’s downright painful. Change the way you do it. Imagine yourself as a hero walking into this room, look around, what do you see… Creatures? Conditions? Color and Components? Working on details like these often inspires you more and make prep more fun. Cut the work down into manageable chunks. Work out the nuts and bolts for the first quest, note ideas for connectors along with possible creatures and setting briefs. Then leave it alone until you get up to that stage. Things change over the course of one or two games and you might have to change things. Never work on your quests for more the two hours at a time. Keep it fresh by doing it in small, punchy, half hour bites. Work with lists, small paragraphs, and flow charts rather than masses of written material. Keep areas like caverns and dungeons to a room limit of say 15 rooms and only two levels. Try and invent at least three creatures per quest. And never be afraid to scrap possible ideas for some thing new that may prove better. Joan is now running her first quest, “The Dogs of Death”. The story hook is simple. The players must solve the murders in the city area to claim the 140gp reward. A rival party is also attempting to solve this mystery and claim the prize. The party needs this 140gp to repay a loan from a Loan Shark. The party soon collects enough facts and clues, discovering a secret gang of mercenaries working in the bell tower who are using trained hunting dogs to attack unsuspecting victims and rob them. Rather then infiltrating their lair in the bell tower, the party in a complete turn-around instead informs the Home Guard and sneaks into the Loan Shark’s hide-out. Joan, now in a complete panic, decides to cut for a break while she works out a new tack. Working on the fly, 10 minutes of think-tanking comes up with the following connectors. The Home Guards are corrupt and work for a rival thieves guild, the Bloody Cutlass. The Loan Shark works for the thieves guild, Blue Griffins. The third party here is a band of goblin night assassins. This quest and campaign turned out to be one of Joan’s best. GMs have told me countless horror stories where players drove them insane with constant nagging about their character, nagging about the lack of magic items, and how such-and-such new RPG is loads better. Stick to a generic campaign setting (boringly plain) then select areas to enhance, with simple themes and ideas, to flesh out later. For the Northern Hinterlands have a Viking theme, while the Midlands have a Forgotten Realms theme. Players can move to and from areas as they please. Always keep things local and work outwards as the players work outwards. Keep mostly to ideas with stuff inside the players’ main circle of interest. Make sure players are aware they are in control of their characters’ lives. They can multi-class their profession, they can choose their own skills and talents, and they can train in whatever they want. Put the ball back into your players’ hands, let them do all the work. This also stops them from getting fed-up. Always keep players busy with stuff. Looking for clues in a long lost journal (a handout you gave). Putting together bits of a torn map. Looking for a lost family relic in between normal adventuring. In one campaign I had a player who was starting to lose interest with her character, a 6th level female half-elf magic user. Always go straight to the player and identify the problem with them. She was feeling left out when the others in the party got stuck into combat. Work with the player for a solution. I found the player to be a closet Kung-fu nut. I gave the party a side mission that led her character to multi-class into a Magic User/Monk-Twin Dragon. Most people have a time of day when they’re the most creative. Do your brainstorming then. Try going without sleep for a while. Two o’clock in the morning is usually the time when the brain is least reasonable. You can come up with great ideas (or simply crazy ones) that can be added together later with other random thoughts. Always leave a notebook and pencil by your bedside. You might wake up with a new approach that can get you started again. Artwork, both fine and graphic, are great sources of inspiration. You can get ideas from a painting of the countryside, a castle, or maybe just a portrait. Flip through your books and just look at the artwork. Google for art in your genre. Deviant art, Pinterest, and similar sites have amazing creations that will inspire you. Look at art books at your library. Hopefully they have genre art as well as the classics. It might help to flip through some of your old material. Look back at other things you have written, and try revising them to fit your current campaign. Review old ideas and inspirations. Update and modify anything interesting you find to fit your current tastes. Try re-running stuff you enjoyed gaming the first time. Try developing different parts of a campaign that you haven’t already. See what the players could explore, be it physical, emotional or spiritual. Try a moral dilemma instead of your normal court intrigue or combat. Take the group to a new part of your world as yet unexplored. An invasion from space will always take a game in new directions. Ask a friend who is not involved in your current campaign read over your work. Talk about it and see what ideas he or she has that can be integrated. There is no such thing as bad constructive criticism. If the friend doesn’t like something about it, change it or make it better. Listen to their comments and suggestions no matter how negative they are regarding your work. After all, you don’t have a better idea at this time. Ask your players for feedback. Sometimes you beat yourself up when your players really are having a great time. Also ask them for interesting ideas to try in the game. Read and write short stories. They make your brain work in a different way. Put something down, anything. Make it small. Start in the middle or write just a piece of it. Make an outline. Think creatively about something unrelated. Spend time just sitting quietly day dreaming. Then write an NPC backstory, or a piece of game world history. The details and processes involved in fiction writing often trigger inspiration for long-term campaigning. Read anthologies, fan fiction, and novellas. Writers try to pack lots of ideas into the shorter format, or they explore cool ideas to a depth that would not normally hold attention for a longer piece of work. These ideas are often gameable. Try writing small pieces of information or creative thought. These could be one line of scene description, three sentences describing the organization of a religion, the fast write up for an NPC, a new monster, or even a game tip. Once you can begin to write things down, they can inspire you to move on to other things. There are many online virtual table top apps with groups looking to play one-shot games. This is a fantastic way to try new games, or to take a turn at being a player. You also get to meet new people with different ideas this way, especially people from different countries and cultures. Some online GMs could also use help with game prep and running NPCs. If you enjoy one particular aspect of GMing but it’s missing from your current campaign, you could offer to take on that role or work to scratch that itch. Sometimes there are physical reasons for why you are not feeling creative. Get enough quality sleep. Get a little exercise. Limit the amount of chemical modifiers you are taking (caffeine and nicotine being the biggest contributors). If you have any physical ailments, try to get them resolved. You can’t do your best when you don’t feel your best. I’ve been running a home-brewed game for the past 6 years with another friend, and GM burn-out creeps up on me very often (usually once or twice a month). I have a suggestion for other GM/DM’s to help overcome burn-out and make their game and/or game world seem “better”. I find that relaxing while listening to music and letting my mind wander in my game world helps. While relaxing, try to picture yourself walking around in your game world and paying attention to what people do, their surroundings, and just generally what goes on. Once you’re walking around in your game world, close your eyes and let your mind wander (preferably in your game world)… Do this for a couple hours a week (sometimes 30 min a day for a week really gets me wanting to GM). You can take this to the next step further by making stuff happen. For example, while walking to the store, you imagine someone hit by a car. What do you do? What if that person is your enemy, friend, spouse, noble/high class, commoner? Sometimes by seeing the day to day life of your game world through the eyes of a commoner, or just some traveller, you will begin to know more about your game world that usually isn’t in any books. Your game world has a life, why not look at how it is for a couple hours a week. Plus, don’t think of plot hooks, let them come to you. The more you see your world, the more you can probably figure out how to make a campaign unlike any you had before. Hopefully a tip or two inspired you to keep GMing or to craft a plan for how to recharge and get inspired again. If you’ve suffered from GM burnout in the past and overcame it, I’d love to hear how you did it. Email [email protected] with your burnout stories and tips. They could help another GM in trouble. Thanks! There are times when the feet of adventurers give way under them and chances for adventure are presented in the most unlikely places. And so arise opportunities when the simple wanderer in the desert or primitive of the valley has destiny choose them to become adventurers, thieves, warriors, and cutthroats. The light of destiny chooses its charges without patience or thought. Only the magic of the moment pushes the decision to the fore. Here are ten locations to spark strange and dark adventures where the mundane ends and the magic of fate begins. These ancient caverns contain the last resting places of ancient and terrible kings whose reign ended eight hundred years ago. There still 1d10 skeletons of kings and their courts who at any moment could spring to life. This place has a terrible reputation and men have been known to disappear down its dark and twisting tunnels of horror and depravity. There will be 1d4 undead guardians secreted in alcoves and wall slots here and there. Entrances to this place are known to open in the areas beneath the feet of villagers and travelers. There are whispers of great artifacts and enchanted swords coming from these caverns. These ancient pools were once the way point between the world of the gods and men. Now they have become the realm of elementals and water demons that play there. There are rumors of underwater tunnels that lead to grand temples filled with treasures of the ancients, these rumors also tell of death from hidden guardian spirits. This was once an alien city from a far away world now gone to rot and ruin. There are said to be twisted and ancient ruins hidden behind the falls, but only those whom the demon spirits take ever find out. Others are killed by the water mutants that live there, ancient descendants of those who in lived this bizarre place thousands of years ago when it was a thriving city. This ancient hole in the ground is part of a collapsed series of pits connected by twisting tunnels said to be ancient remains of a living creature, its innards now the living tissue of the pits themselves. The thing’s prey is all that remains of the thousands of skeletons that reside here. There are said to great items and treasures of power here, but there are also monstrous things that live off the carrion of the bones as well. Only the brave or stupid come here to explore for these legends. This place was the treasure vaults of an ancient people long since vanished. From time to time relics, treasures, and other things are found here. Monsters and wizards of all descriptions have journeyed to the vaults and made their homes here, but they are long since vanished if the rumors are true. Lately, however, there are tales of new horrors that have come here to make their home, drawn by the magic and aura of these caves. These standing stones mark the passing of thirty of the sacred heroes of long vanished peoples. There are thousands of skeletons around the place tended by a cabal of sacred wizards who know the secrets to bringing these horrors to life to protect the enchanted armors and weapons. But they actually guard the bones of a much more dangerous god thing. This ancient desert field is filled with thousands of stone faces belonging to what the locals call the field of the gods. Giant faces cry to the heavens in silent screams, and there are nine twisting tunnels that lead to ancient horror-filled tunnels where giants and other cavern denizens feed on the flesh of the dwellers above. Artifacts, weapons of magic, and other treasures are occasionally found here as well. Sometimes hundreds of mutant monsters surge forth from this place into the lowlands. This graveyard is filled with hundreds of giant tomb stones etched with alien writing marking the passing of the minor gods. These tombs on occasion explode with hundreds of skeletons of ancient warriors who go forth into the towns and villages surrounding the place to do battle in their ancient enchanted weapons and armors. Those who can defeat and destroy them may inherit their treasured possessions. Those who do not will die at these monster’s hands. These cloud fortresses drift overhead and were once the abodes of horrid god kings who ruled this land. They are long gone, but their cloud fortresses drift on the wind. It is said they are magic and splendid treasures still litter their halls. Spirits and ghosts guard these objects. Men climb mountains to reach these drifting treasure palaces. In some lands these places are ill omens and things of bad fortune. This weird tower appears and disappears at will. Within its walls are the resting places of the ancient wizards of Fruthu. They sleep in the crystal and glass walls of this tower. Ancient insect warriors patrol its halls and rooms. There are the treasures and relics from a thousand worlds within it. Ancient undead heroes feast in halls here, unaware they are dead. Night after night they clash in battle. Swords, axes, and weapons ring in the unending light of the towers and nightly the feasting happens. There are treasures for a thousand heroes here if you can get by the guardians and horrors. Thanks to the Roleplaying Tips Patrons who help make this newsletter free to you. Patrons like John Ciesla, Sean Stumpf, Steve Bollenbaugh, Tynesha Carriere.